MSR is proud to partner with organizations committed to educating on safe and respectful recreation in our backcountries while empowering people to challenge themselves within these wild places that move us. Alpine Mentors pairs proficient young climbers with highly experienced climbing mentors to foster the next generation of great alpinists. Over the course of two years, under the tutelage their guides, the young alpinists learn critical skills and sound judgment in complex environments, as they strive to complete technical routes in the high mountains. A longtime sponsor, MSR provides monetary support to the nonprofit and gear to the mentees. At 16,000 members strong, The American Alpine Club is the voice of America’s climbers. Through its deep history of conservation, education, grants and policy work, it has protected pristine climbing landscapes, advanced research projects and promoted many of climbing’s pioneering feats. MSR is a main AAC financial sponsor, supporting its numerous programs, its Excellence in Climbing Awards Dinner, and its Craggin’ Classics climbing festivals. The American Mountain Guides Association inspires and supports a culture of American mountain craft providing world-class and internationally recognized education, training, and certification to aspiring and professional guides. With hundreds of years of collective experience, the American Mountain Guides Association is the leading organization of America’s most vibrant, inspiring community of climbers and skiers. 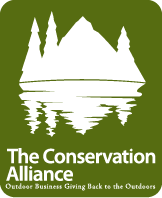 The Conservation Alliance is a group of outdoor businesses that collectively disburses funding to grassroots environmental organizations to protect wild places. Since its inception, the alliance has funded more than $18 million in conservation grants throughout North America. MSR is proud to be a member of the alliance. The leading avalanche forecasting, safety and education center for the Pacific Northwest, NWAC’s mission is to save lives and reduce the impacts of avalanches on the region. The center maintains one of the most comprehensive weather data networks of its kind. It also offers public avalanche awareness clinics. MSR sponsors its Going Deep Avalanche Workshops, and provides the center with financial support that promotes everything from its forecasting apps to its fundraisers and its annual SnowBash and Splitfest events. The Utah Avalanche Center provides high-quality mountain weather and avalanche forecasting for backcountry recreationalists and industry professionals in the state of Utah. Through its educational workshops, the center promotes avalanche awareness and safety, ensuring that backcountry travelers have the tools they need to stay safe while recreating in winter terrain. MSR’s financial contributions support the center’s operations, forecasting resources and its public safety efforts. Winter Wildlands Alliance is a nonprofit organization committed to promoting and preserving winter wildlands and the enjoyment of human-powered snowsports on public lands. Through its SnowSchool program, it has introduced thousands of underserved youth to their local winter environments. These exploratory field trips teach students about snow science and winter ecology. Each year, MSR provides discounted snowshoes and snow tools to SnowSchool, and our financial support has helped establish new SnowSchool sites across the country.